← 64. King James VI. 29th Aug 2017. Lochore Meadows is one of 7 courses managed by the Fife Golf Trust which was established in 2011 to take over Fife Council’s directly managed courses. This is becoming a common practice by Local Authorities in Scotland to manage golf courses. The golf club is private, like many Scottish clubs associated with public courses. 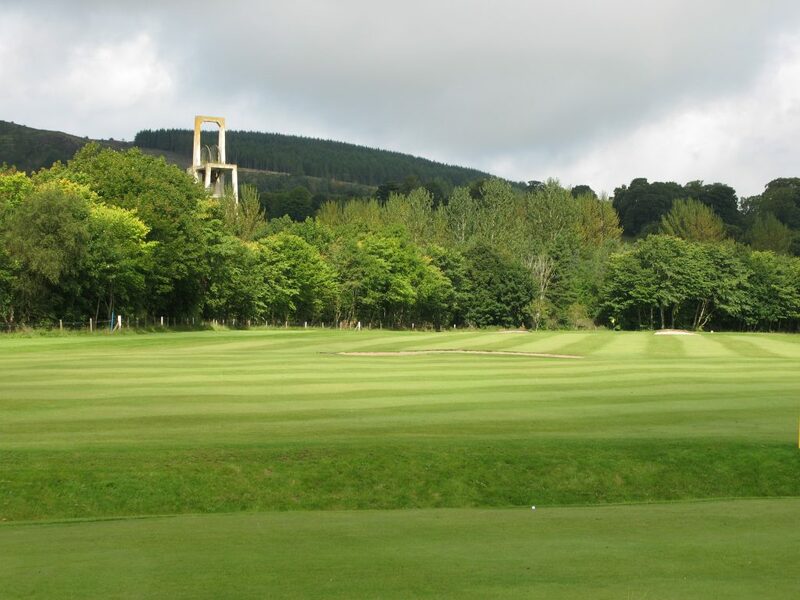 The 1st at Lochore Meadows, with a mine shaft a reminder of better times for this poor area. 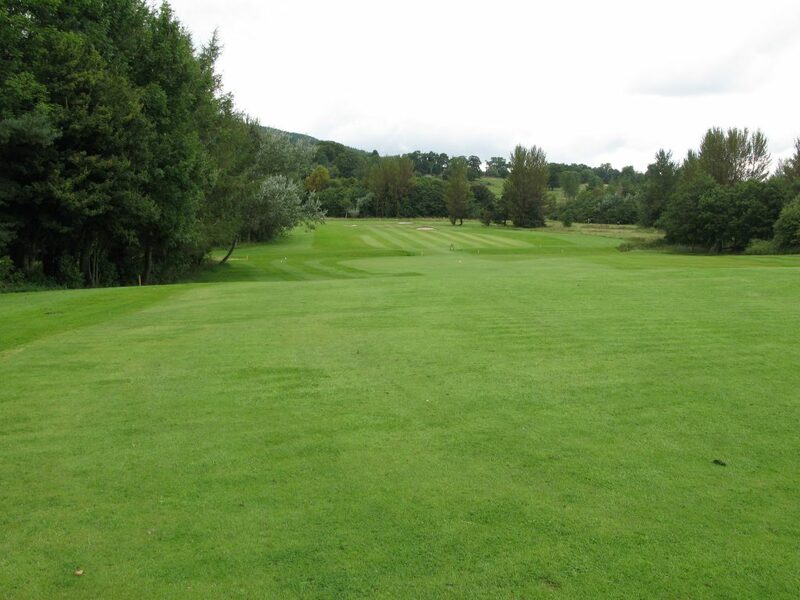 Lochore Meadows Golf Course, located within Lochore Meadows Country Park, was formerly called Ballingry Golf Course. It was founded in 1981. The country park is just north of Lochgelly, in the Benarty area, comprising the separate villages of Ballingry, Lochore, Crosshill, and Glencraig; this is a poor part of Scotland still in need of economic regeneration following the demise of the coal mining industry – a former mine shaft being a major feature to the left of the first hole. The 3rd green at Lochore Meadows. The 9 hole golf course is really good value. It has a very traditional layout with 2 par 3s and 2 par 5s, and at over 3000 yards, from the yellow tees, is a full length course. It was also in very good condition when I played, with the medal tees looking like they would have been at home on a much more prestigious Fife course. The par 5 8th hole at Lochore Meadows with the hazard in play for the second shot. The fairways are very generous so you can take driver on most holes. There is also a stream running across the course which comes into play on the 1st, 8th and 9th. The large greens were also in great condition when I played. 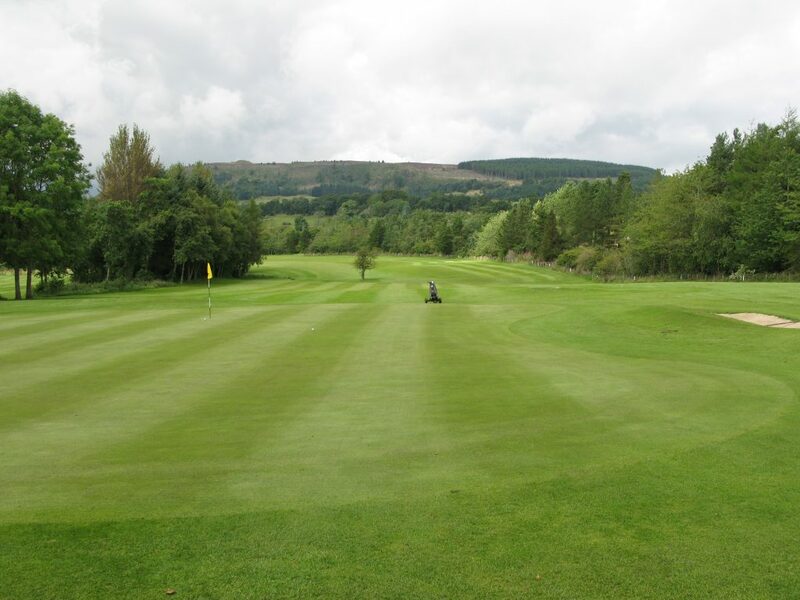 There are some lovely views of the surrounding hillsides, which coupled with the good course, means that it is worth travelling to play Lochore Meadows. 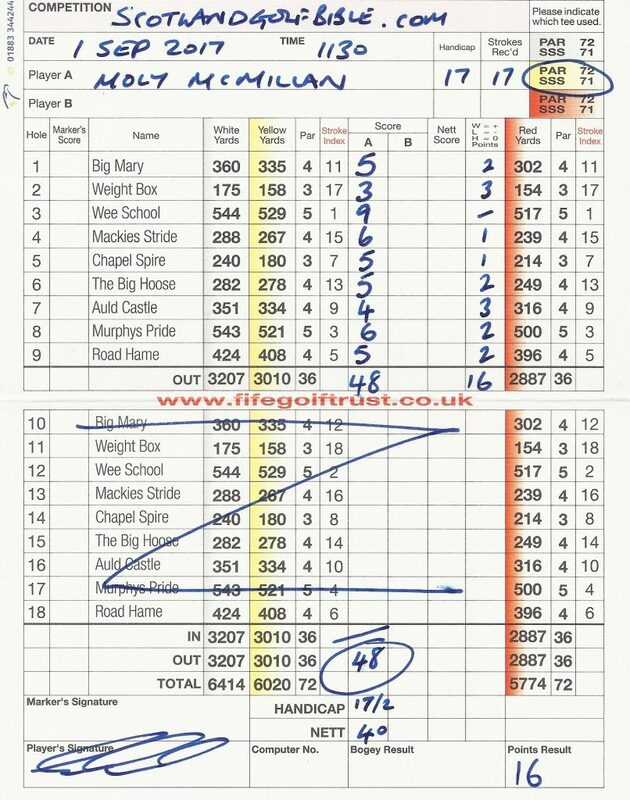 This entry was posted in 1946 - 1999, 3 star, 3.5 star, 9 holes, Course Architech, Course Owned By, Course Quality, Course Type, Holes, Overall Value, Parkland, Price, Region, The Kingdom of Fife, Trust, under £20, Unknown, When Course Established. Bookmark the permalink.